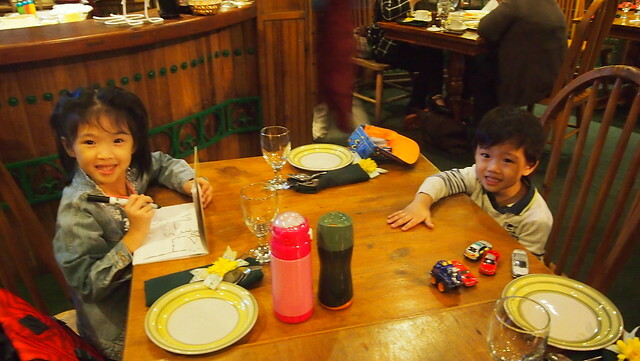 Last month, after two years we were able to visit Baguio again! Wuhooo! It's really those last minute planning that pushes thru noh? My college friends and I have been planning a Baguio outing since March and it never pushed thru. In the end, it became a family vacation! 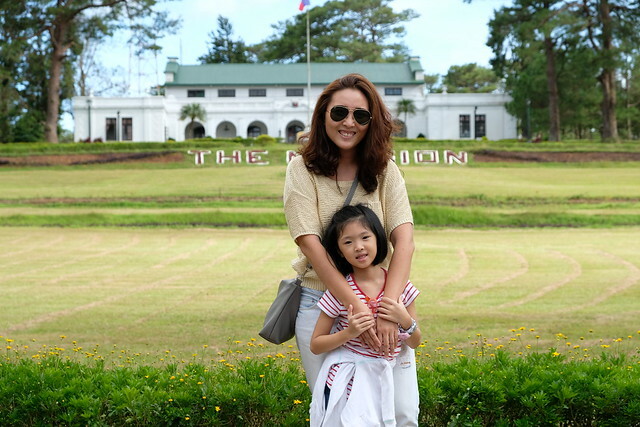 When I found out about Y's school was having a long weekend last month, I quickly told BOS and he said "Baguio na tayo!" Just what I had in min! 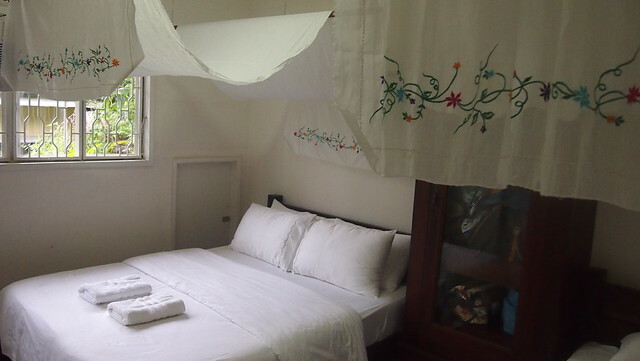 So I immediately booked a room for one night at The Manor and two nights at La Casa Bianca, a fairly new Bed & Breakfast that is owned by the family of a college friend. It was a nice drive! We played guess what that cloud is! We left Manila on a Thursday at around 9AM. It took us almost four hours to reach Pangasinan via NLEX-SCTEX-TPLEX, we dropped by to visit Y's ninang and have a quick lunch at Cuisinero! It was the last restaurant we ate at during our Northern Adventure in 2013 and this time it was the first! 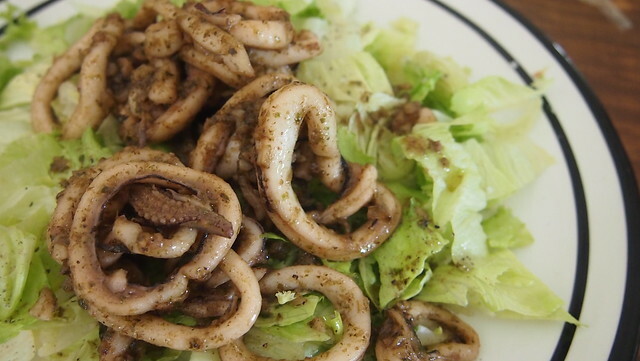 Warm Calamari Salad. This is what I came back for! Still as good but serving is now smaller. Tenderloin Tips, also for me! Haha! 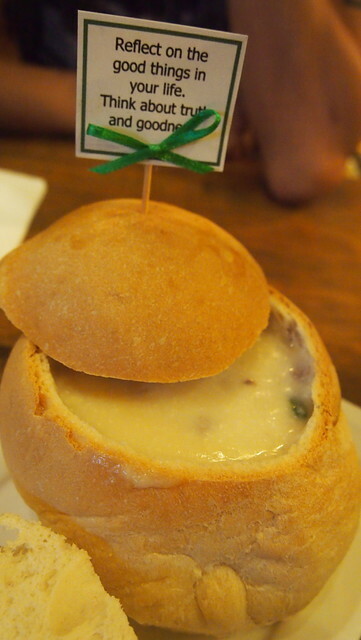 This costs less than Php180! Cheap and good! 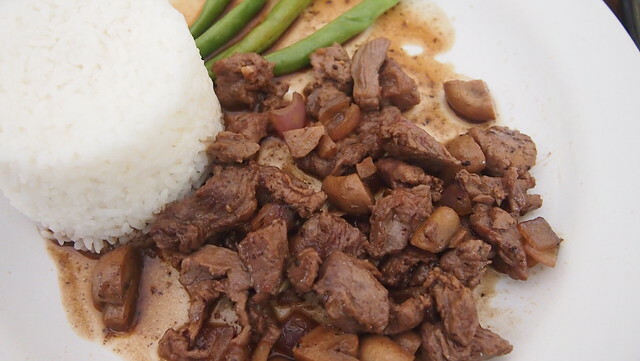 Left: BOS ordered sisig and rice. 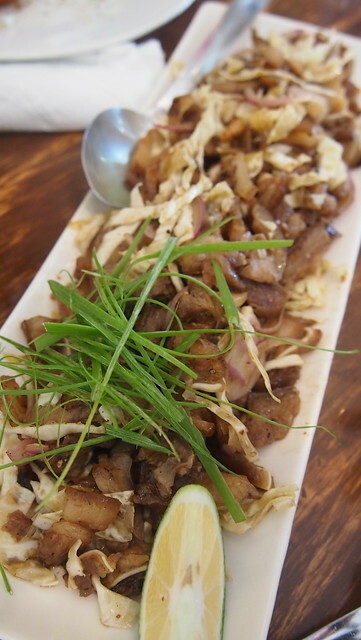 I forgot which kind of sisig anymore! They had four kinds kasi! 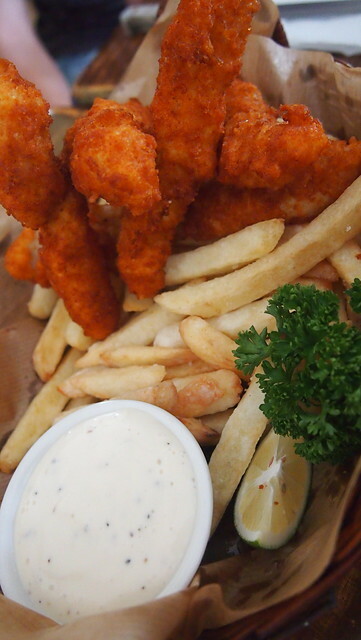 Right: Kids had Fish and Chips! Thank you Ninang G for our lunch! BOS wants to try Matutina naman daw next time. So may next trip tayo sa Baguio? :) Hehe! 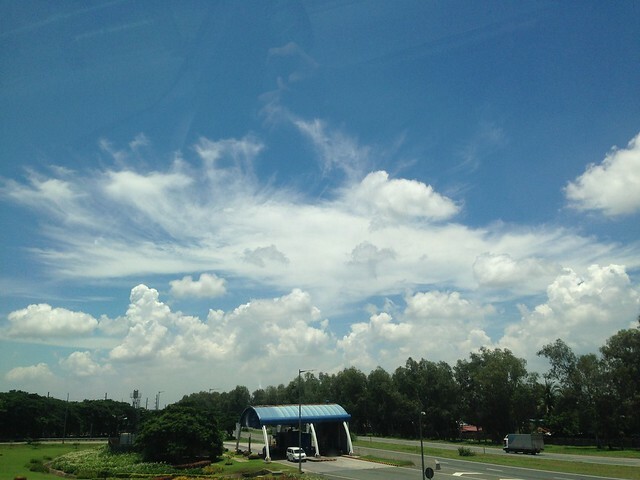 We left Pangasinan at 2PM. 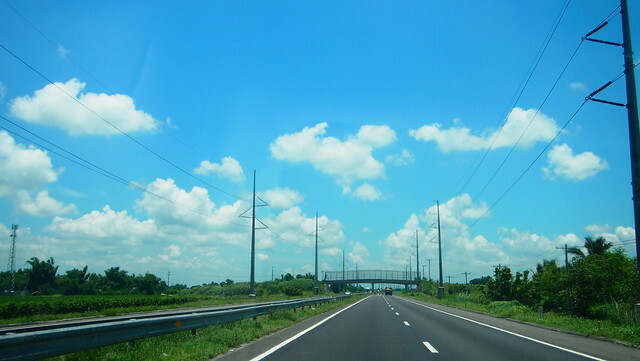 We passed the Marcos Highway route as advised by my sister who also went to Baguio two weeks before us. 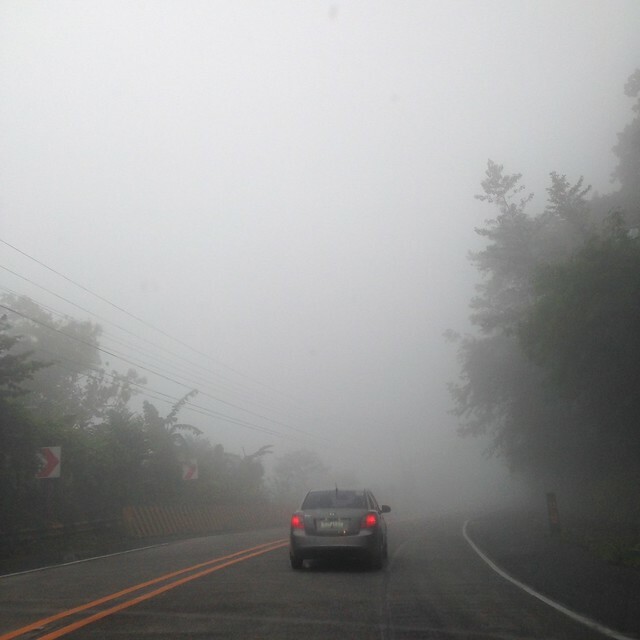 There were road works and repairs in Kennon Road and knowing how foggy it can get as you ascend to Baguio, it's better to take Marcos Highway. And true enough, it rained and it was so foggy that we can only see the car in front of us. It was R's first time to see and experience fog. I was so excited I told me "Look shoti! Fog!" to which he answered "Hindeeeee... usok yan!" Haha! May point naman siya diba? We arrived in La Casa Bianca at around 4PM. 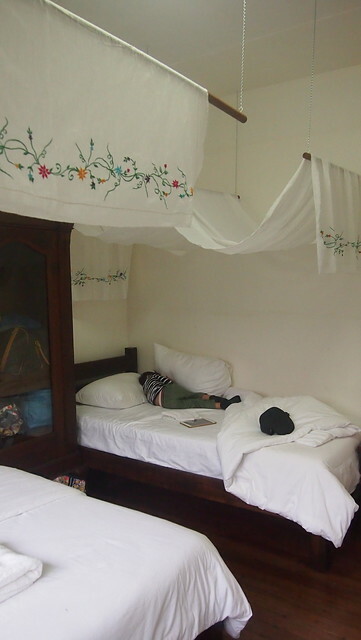 I wasn't able to take photos of our room upon arrival because the kids immediately jumped into the bed. Excited sila! Haha! We didn't get to do anything on our first day. 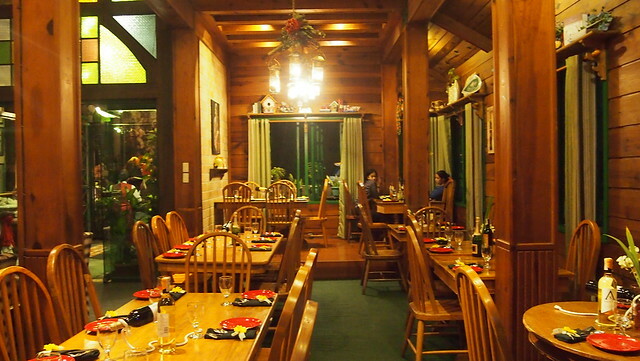 We rested, watched TV before heading out again for dinner at Forest House. 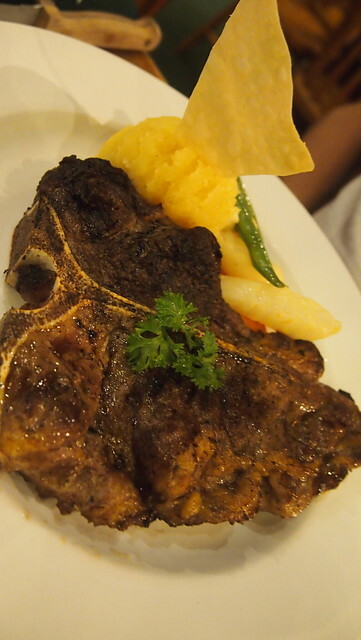 We weren't able to eat here last time because it was raining and parking here can be hard. Good thing this time it wasn't raining and it's not peak season, the place was almost empty. It was our first time to travel out of town without a yaya. I knew it would be a challenge, most especially with BOS. Hehe! Here they are, calm before the storm. Haha! 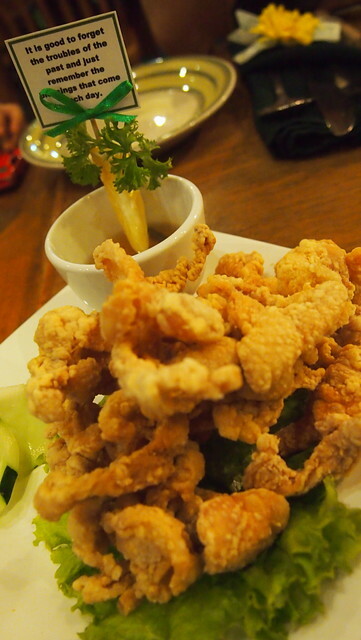 For starters, we had Chicken Skin Chicharon (Php160) and Wild Mushroom Cream Soup (Php135). 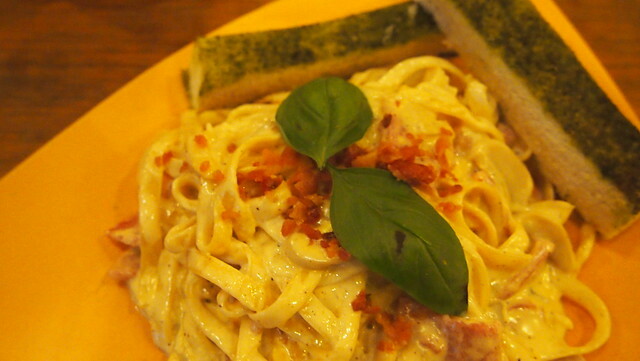 Kids had the Fettucine Carbonara (Php280). 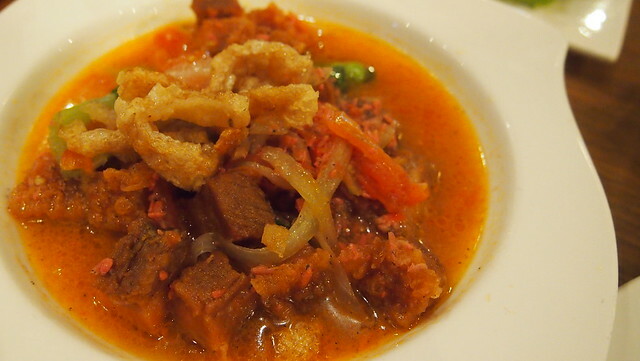 I had the Bagnet na Pinakbet (Php235) with rice. 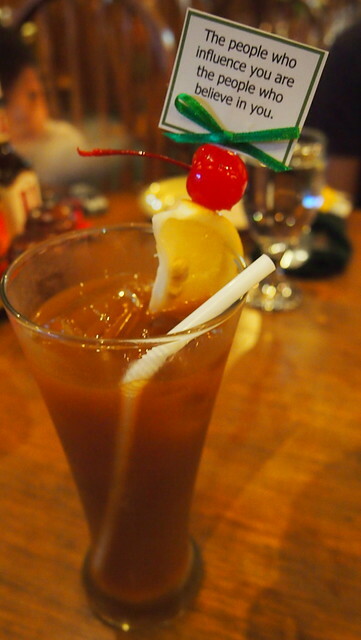 BOS had T-Bone Steak (Php595) and we shared this glass of Iced Tea! After dinner, we went back to our hotel, showered and had a good night's rest to get ready for our full day ahead the next day. We (meaning Y, R, and I haha!) woke up early the next day because well the kids woke up early! I don't really mind because I wanted to get an early start so we can do a lot of things for the day! 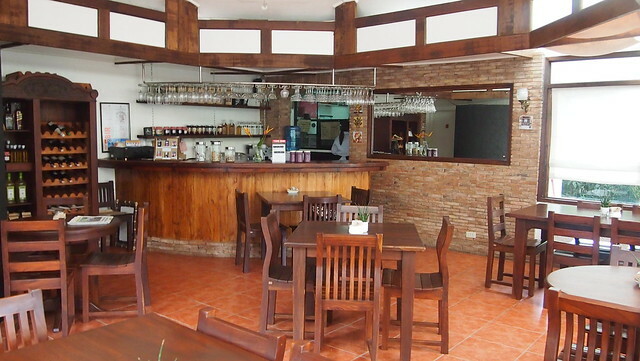 La Casa Bianca Baguio room rates include breakfast. 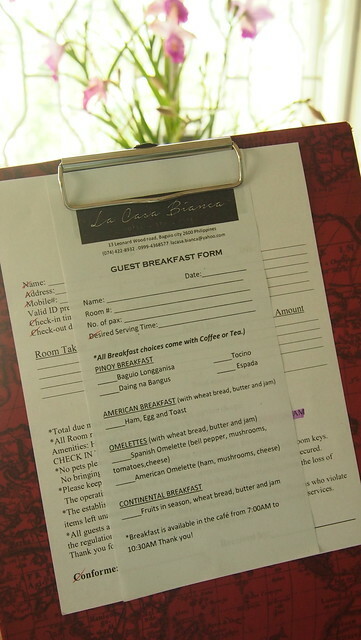 When we checked in the day before, the receptionist asked me to fill out this Guest Breakfast Form. 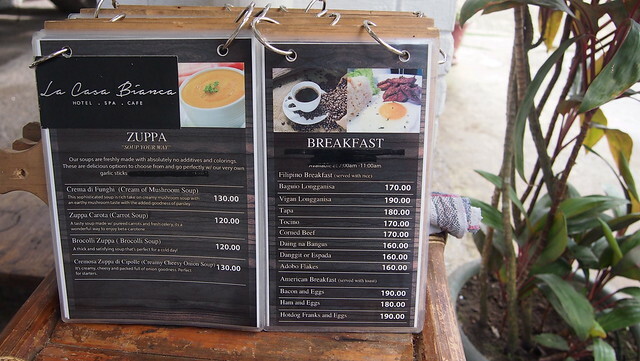 Choices were Pinoy Breakfast, American Breakfast, Omelettes, or Continental Breakfast. 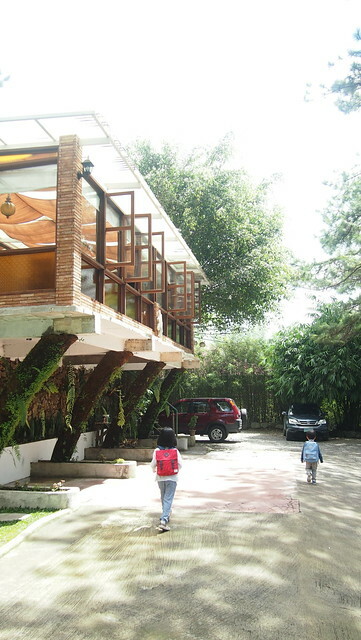 You can have breakfast at the cafe or at the casitas like we did! 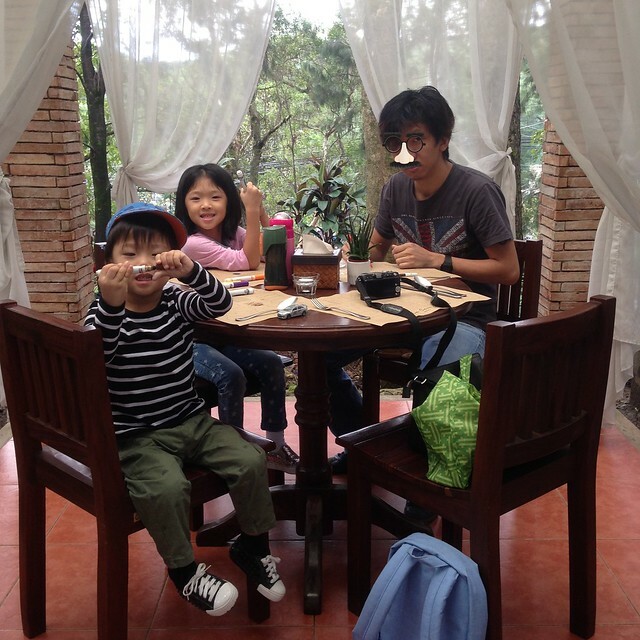 Baguio, the cool breeze and breakfast! One of the best combos ever! While waiting for our breakfast to arrive, I took the chance to take photos of the place. The white house is where the rooms are while on the right is where the cafe is. 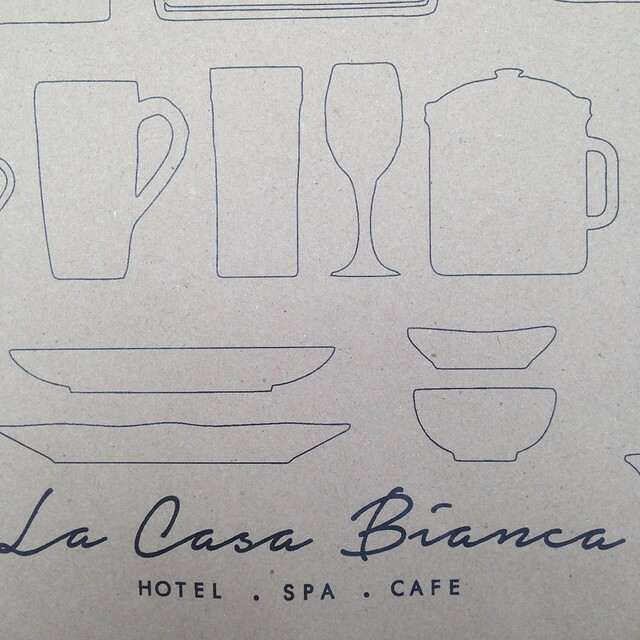 La Casa Bianca also has a spa which is located at the ground floor of the house. 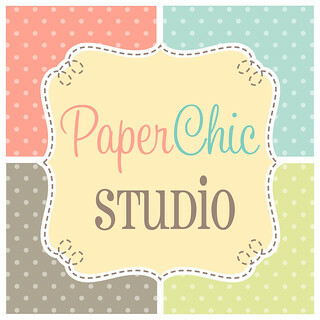 Guests who are checked-in get a 20% discount on all of their spa services! The room that we booked was good for three so we had three plates of breakfasts. One each for me and BOS and the third plate was for the kids to share. BOS and the kids had the American Breakfast while I had the Spanish Omelette. 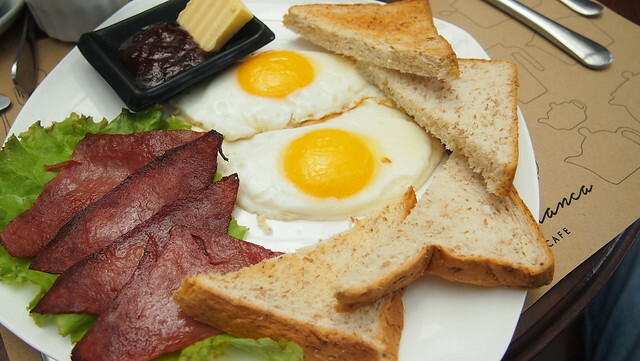 Sweet ham, eggs and toasts with butter and jam. Hands down one of the best Spanish Omelette I ever had! 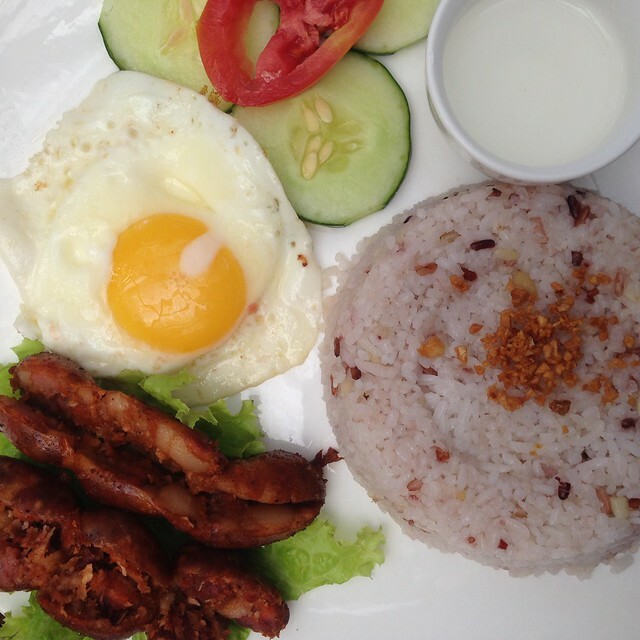 On the second day, I tried the Baguio Longganisa. 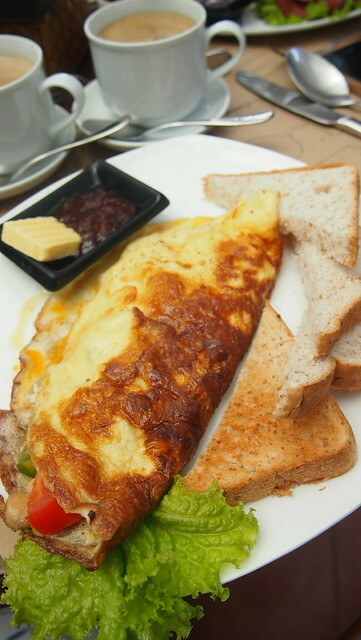 I didn't liked it, wished I had the omelette na lang again. Off to our Baguio Adventure! After breakfast, we headed out for the day and came back around mid-afternoon because the kids fell asleep in the car. We all took a nap but R was more tired than all of us and had a really really long nap before going out again for dinner. 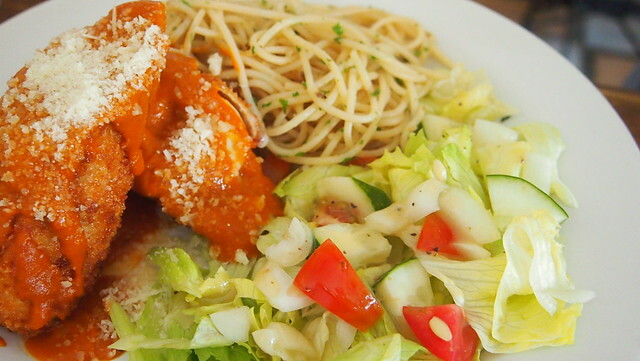 But first, let me tell you more about La Casa Bianca Baguio! This was our room. It has a queen bed and a single bed. There's a closet, TV with cable and a side table. R taking his long afternoon nap while I watched TV. BOS and Y went to cafe to have merienda. I slept with Y on the queen bed while BOS and R slept on the single bed. We then switched on the second night. The cafe has a nice ambience. They serve breakfast, lunch, and dinner! 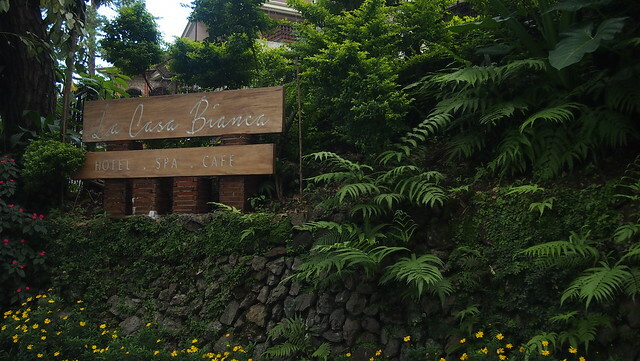 We had a nice stay at La Casa Bianca Baguio! 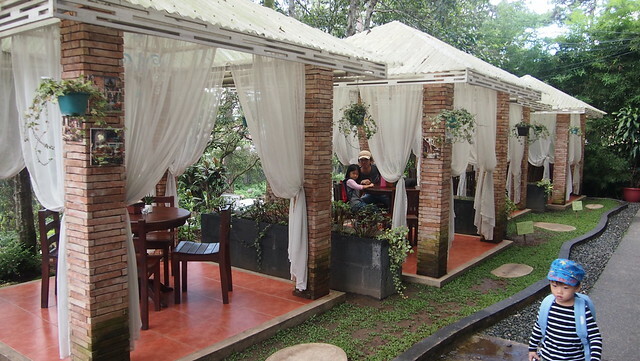 It's a cozy Bed & Breakfast that's perfect for families, couples and barkadas on a budget. 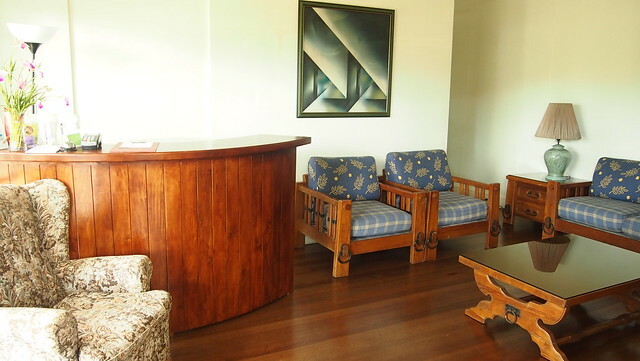 Rates are fairly affordable plus breakfast is included and you get 20% off on their spa services. 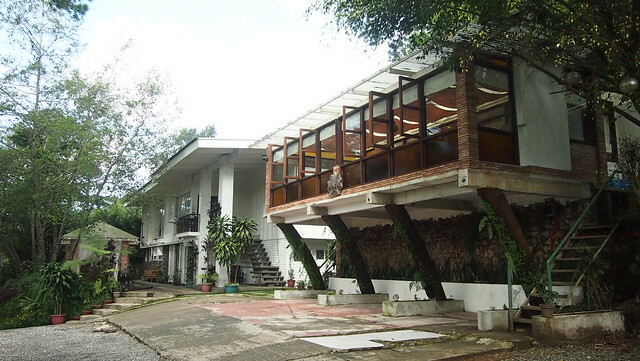 It's located on Leonard Road, it overlooks the mythical White House. 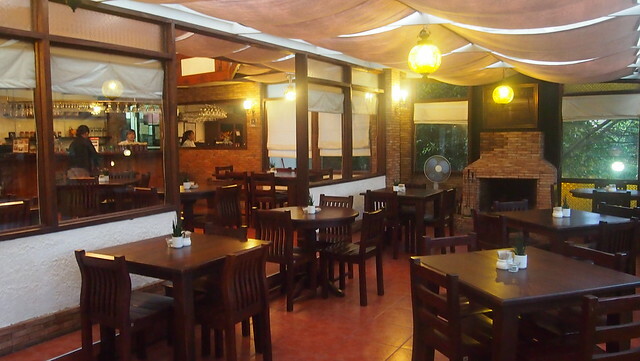 There are restaurants nearby that are walking-distance but for tourist spots, you may need to hire a taxi or drive to it. 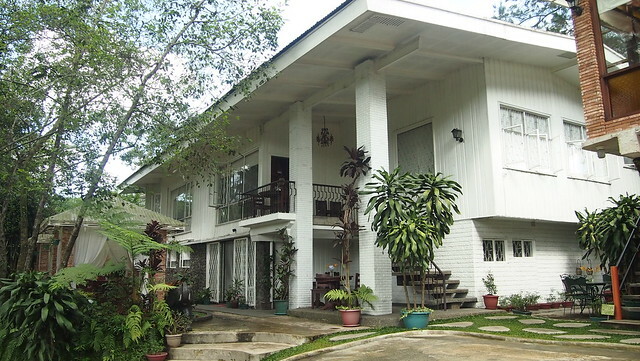 Book your stay at La Casa Bianca Baguio now!